Prominent poet and literary researcher Lin Jui-ming (林瑞明) passed away at the age of 68 on Nov. 26. Lin was one of the key architects of the National Museum of Taiwan Literature and a published authority on Taiwanese nativist literature. Born in 1950 in Tainan's Sigang District, Lin taught history at National Cheng Kung University and literature at National Tsing Hua University, and worked as a researcher for the Ministry of Culture's predecessor, the Council for Cultural Affairs. He also published poems under the pseudonym Lin Fan (林梵) and devoted decades to organizing the life works and philosophy of heavyweight nativist writers such as Yang Kui (楊逵) and Lai Ho (賴和). Lin was also the first director of the Preparatory Office of the National Museum of Taiwan Literature from 2003 to 2005, and his vision for the museum has largely shaped its operations, objectives, and collections today. His later years were marked by an increasing interest in indigenous literature and poetry, and he was one of the judges who served on the panel for reviewing aboriginal-language submissions to the Taiwan Literature Awards. 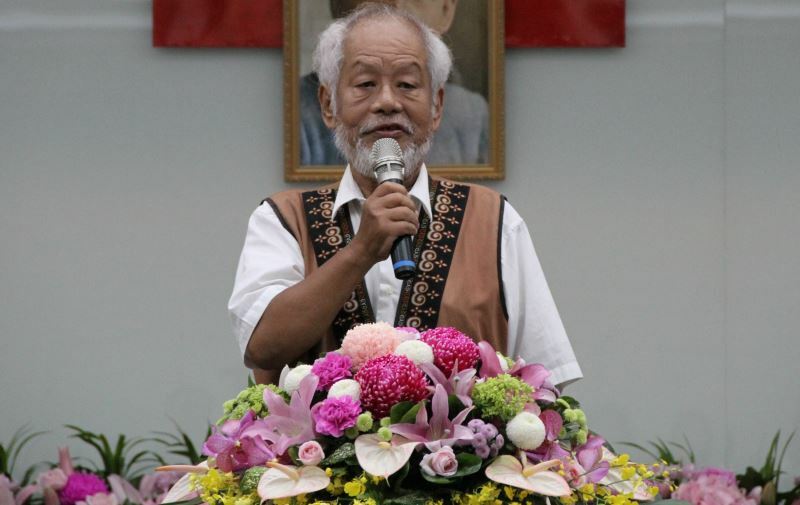 Su Shuo-bin (蘇碩斌), current director of the National Museum of Taiwan Literature, thanked his predecessor for garnering the necessary support for the museum's establishment as a fourth-tier governmental agency, and promised to hasten preparations for applying for third-tier status. Minister of Culture Cheng Li-chiun has also issued a statement commending his contributions to the research and preservation of Taiwan's literary history. The items donated over the years to the museum by Lin will be curated into future exhibitions to provide a window on Taiwan literature through the lens of the late literary connoisseur. Visitors Today:94. All Time Visitors:1,229,901.